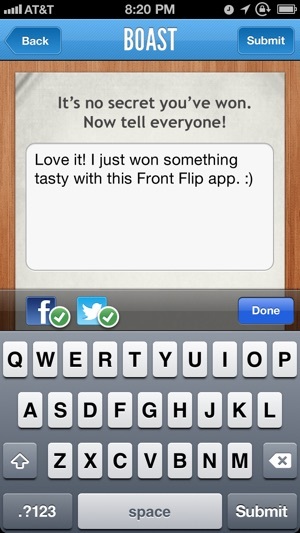 Front Flip is the most fun you’ve ever had from a loyalty app. 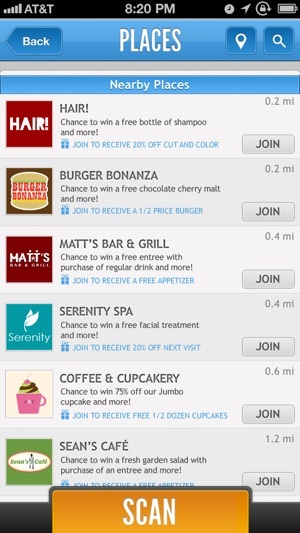 Visit any participating business for your chance to win valuable discounts every day! Plus, you can receive gifts from your favorite places, just for being a great customer. No more schlepping around punch cards or waiting an eternity to earn a ho-hum reward. 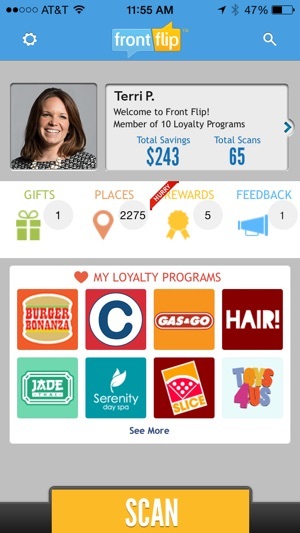 When it comes to loyalty rewards, all you need is Front Flip. 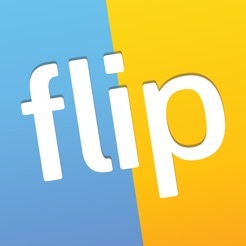 Look for the Front Flip QR code at your favorite places or Play Now feature on your home screen. Then tap or scan the offer with the Front Flip mobile app to unlock your Digital Scratch Card—the secret to winning instant savings. 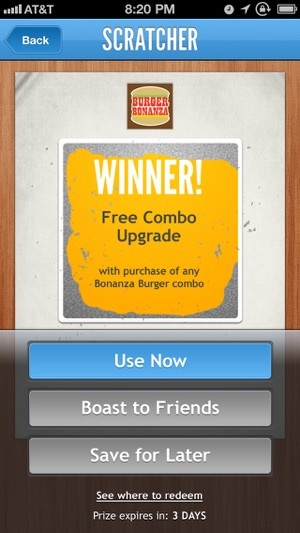 Scratch and see if you’ve won a prize, like a 1/2 price appetizer or even a free lunch. If you don’t win, don’t worry. You can play Front Flip every day. Scan any business’s code to join their Front Flip program. 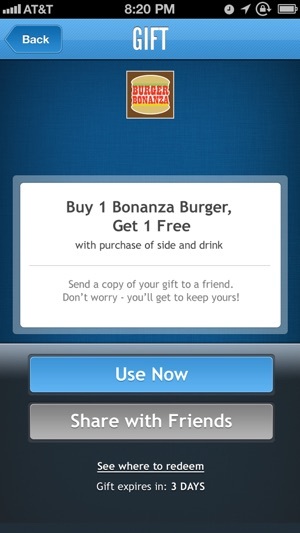 Then they can send you gifts in the mobile app to thank you for your loyalty. Don’t keep the savings to yourself! Share your gifts with friends, and spread the word on Facebook and Twitter when you win a prize that rocks. Visit us at frontflip.com to learn more, and “like” us on facebook.com/frontflip for even more chances to win great prizes. What's New in Version 6.1.1!!!! Thanks to customer feedback, we have enhanced our country selector to include Canada postal codes. - Optimized the feedback functionality for new IOS devices. - Includes updates to improve location visibility with the Places section of the app. - Additional improvements and maintenance.